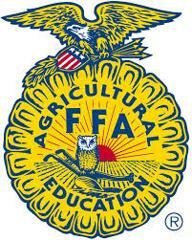 Please click the link above for current news and information on Forest Lake FFA. The Forest Lake FFA Chapter is dedicated to providing opportunities for students in grades 7-12 to learn about agriculture, acquire real world skills, and developing people to who will give back to our community. Courses and FFA experiences are available for students enrolled in agriculture courses at Forest Lake High School, Area Learning Center and Forest Lake Area Middle School. Students are involved in activities such as Career Development Events, Supervised Agricultural Experience programs, our annual Agriculture Open House, Horse Show, Veteran's Day program, FFA Week, Plant Sales, State and National Conventions, Regional and Chapter Banquets, Leadership Workshops, and Adopt-a-Family Food & Toy Drive, just to mention a few. We hope that you'll take this opportunity to learn more about our chapter and how you can become involved! Please visit our website for more information!